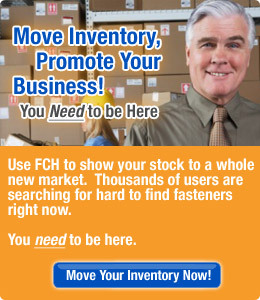 "We sell items all the time using FCH and have recovered our membership cost after less than two months." Spring Toggle Anchors, Toggle Bolts available in the following materials. Spring Toggle Anchors, Toggle Bolts, Rubber, Buna-N etc. Spring Toggle Anchors, Toggle Bolts available in the following US/Imperial sizes. Spring Toggle Anchors, Toggle Bolts available in the following Metric sizes.